What are these "Points" For? We are pleased to announce our special Customer Rewards program for our frequent shoppers. As you shop with us you collect 1 point for every dollar you spend. When you save up 200 points you are eligible to redeem a $10 gift certificate redeemable towards anything on our website! Simply visit your account to see how many points you've earned and redeem them. Yes, all purchases come with our 30 Day Unconditional Money Back Guarantee! Do they come with the original boxes? All items will come in their original box unless otherwise noted in the item's description. From where do these figurines originate? Many of the figurines come from our retail store that has been an authorized Precious Moments dealer for the last three decades. We do also acquire collections from private collectors as long as they meet our quality criteria. Do you purchase items from individuals? How can I find out what my collection or a certain piece is worth? Due to the vast amount of precious moments products available, we cannot quote values via e-mail. We use The Official Precious Moments Collector's Guide to Figurines - Fourth Edition by John & Malinda Bomm to establish the current retail value of our items for sale. Can I change the shipping address once an order is placed? Depending on where the order is in the process we may be able to change the shipping address for you. If your order has already been shipped it may incur a $11 address correction fee from USPS. Does choosing UPS Next Day Air mean that my order will arrive tomorrow? Expedited orders placed prior to 3:00 pm (EST) Monday - Friday normally ships that same day. Orders placed after 3:00 pm (EST) may not ship until the next business day. The majority of orders ship in 1 to 2 business days. UPS does not deliver on Saturday or Sunday. 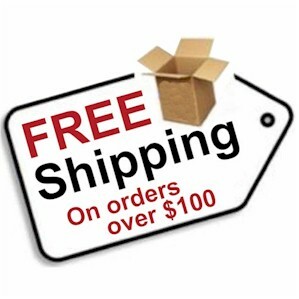 Yes, to receive a shipping quote please create an account and add your items to the shopping cart. An international shipping quote will be given during checkout. All duties and taxes are the responsibility of the recipient. P.O. Box shipments are available using USPS only and for deliveries outside the Contiguous U.S. (i.e. AK, HI, PR) UPS shipping requires a valid street address. We accept Visa, MasterCard, American Express, Discover, Google Checkout and Paypal. Your satisfaction is guaranteed. You may return items in its original condition and packaging within 30 days for a full refund of the merchandise. Please contact us for instructions to return items. We will pay the return shipping cost only if the return is the result of an error we made or if the product is defective. We cannot accept any returns after 30 days of delivery and cannot accept an item that is not in its original condition, unless defective. Your refund will be in the original form of payment. If the item appears to be damaged in shipping, please save the original packaging and contact us so that we can have the carrier pick up the shipment and inspect it. If you would like to exchange or return an item for any reason other than damage, please enclose your packing slip and merchandise in the original packaging. Send the box to the address below via UPS or insured mail. We cannot accept returns sent C.O.D.